We’ve cornered the market on great bookcases! 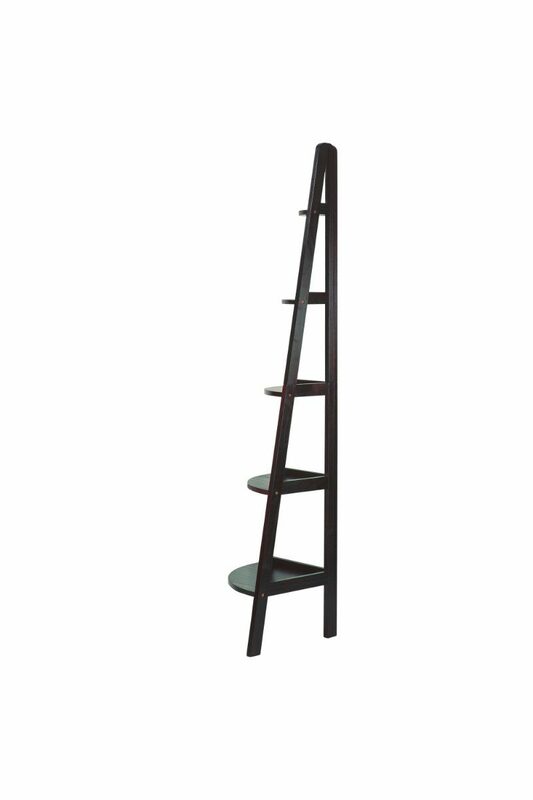 This ladder style corner bookshelf gives you storage room in an area that tends to go to waste–the corner. Complete your layout with a progressive piece that has classic features. 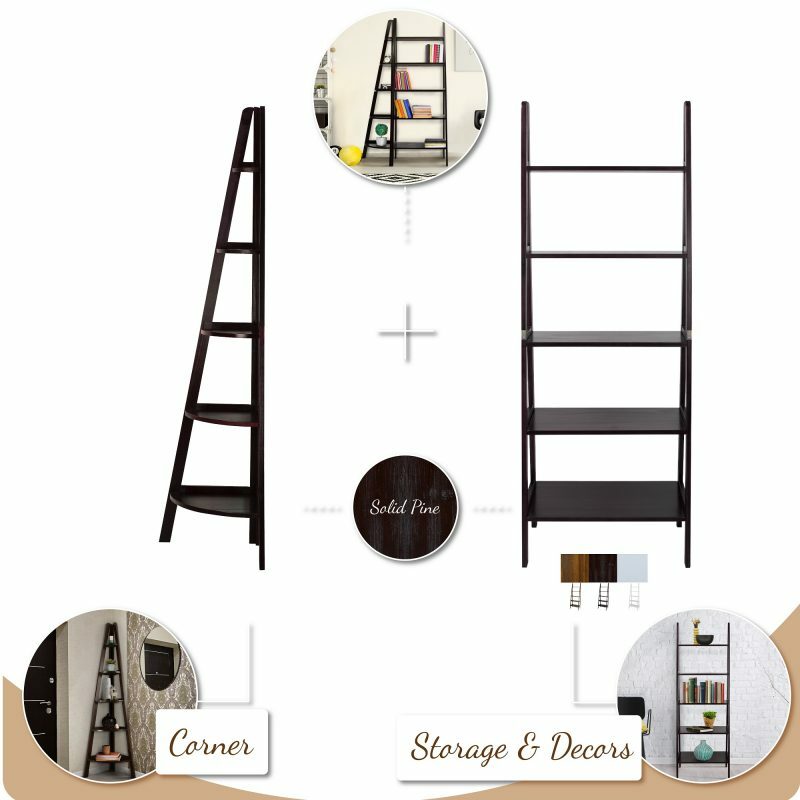 For more detail information of our 5-Shelf Corner Ladder Bookcase, please kindly find the descriptions as below. 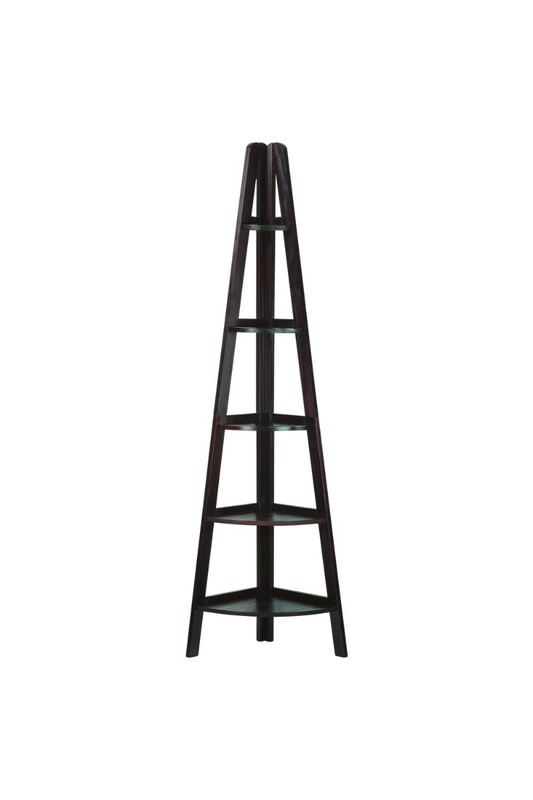 Attractive yet minimalistic, this corner ladder bookcase compliments any corner for extra storage space. 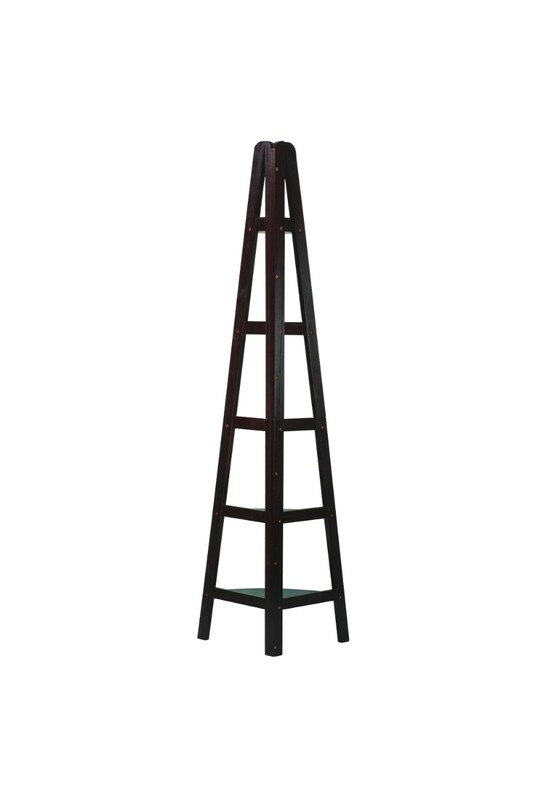 Attractive in design, this espresso finished corner ladder bookcase is perfect for books, collectables, decorative items, and more. 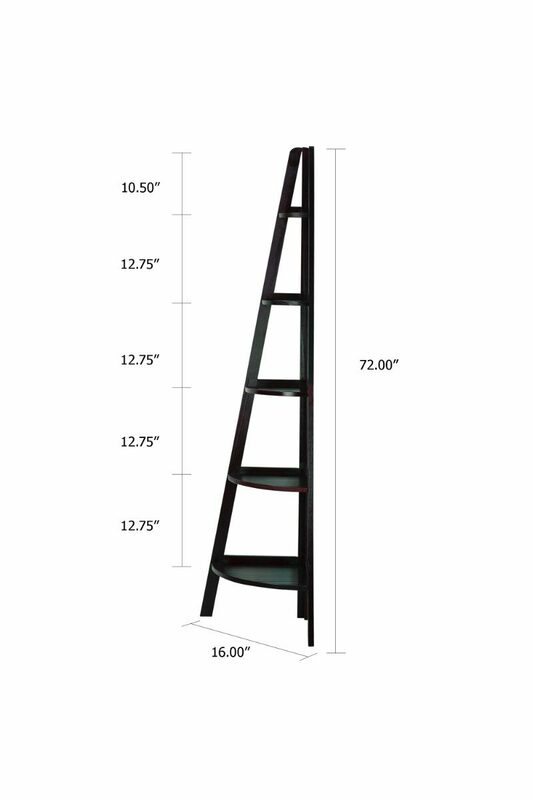 This corner bookcase will compliment any decor and can be combined with our 5 Tier Ladder Bookcase for additional storage space. The unique design lend to an open feel in any room or home office. We’ve cornered the market on great bookcases! 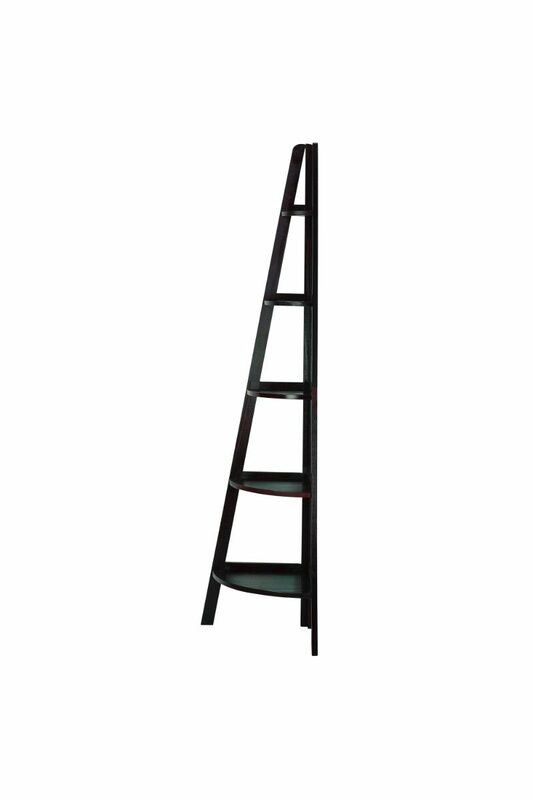 This ladder style corner bookshelf gives you storage room in an area that tends to go to waste–the corner. Complete your layout with a progressive piece that has classic features. 5 shelves of retracting lengths accentuate your decor. Rich espresso finish adds bold elegance. Maximizes design and storage ability through corner utilization.